Join us Sunday, January 13, 2019 for Pastor & Wife Appreciation Day as we celebrate 17 years of faithful leadership and service by Bro. Lanny and Sis. Rose. Lunch in Fellowship Hall after Morning Service. Saturday, December 8th, 5 pm – 7 pm CST in Church Fellowship Hall. 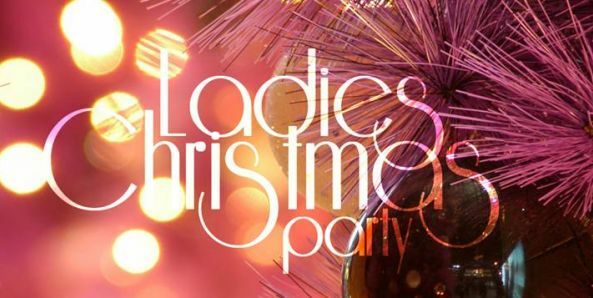 Ladies, bring a $15 gift for exchange and a dessert. 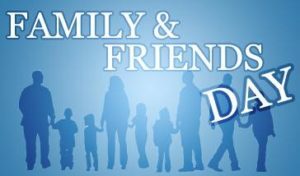 Sunday, September 30th has been designated “Friend and Family Day” to honor the special people in our lives. Invite all your family and friends and fill God’s House with those most important to you! Lunch in Fellowship Hall after the Morning Service. 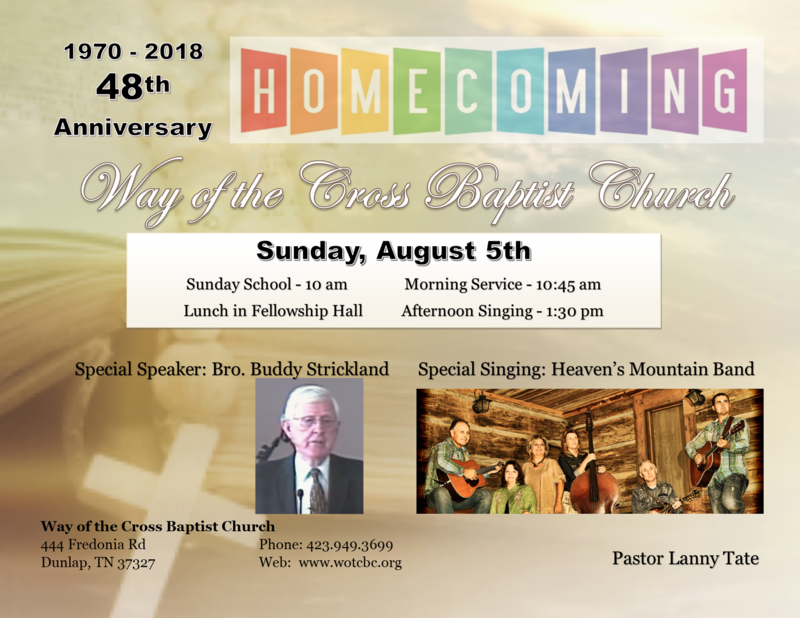 The Agee Family will be singing during the Thursday night Revival Service (2018-08-30). Due to July 4th falling on Wednesday this year, the Wednesday night service will be moved to Thursday, July 5th. We wish all a Happy 4th of July!! !